We offer complete turn-key WordPress websites that are custom to the needs of our clients. They are modern websites that both convert visitor and search engines love. Whether you need a simple brochure website or a more complex e-commerce solution, we can create an easy to use website that looks great and most importantly converts visitors into sales or leads. We exclusively create WordPress websites because of it’s versatility and popularity. Over 25 million people use WordPress including CNN, The New York Times, Ford, and this means that the platform will be constantly updated and secure. If you aren’t currently using wordpress but want to take more control of your site, we can help with that too. Learning to add new blog posts, pages, and other revisions can be difficult for users not familiar with website creation. WordPress makes all of these things quite easy to do and users can be familiar with the new system in a matter of hours. If you are a small to medium sized business, we can help you create a WordPress website that will grow with you and your company’s future. Take control of your website and get started with us today! It’s now more important than ever to ensure your website is fully functional on mobile phones. For years, many websites had 2 different versions; desktop and mobile. While this is a working solution, it made things quite complicated. You have 2 websites to design and market. The best practice for mobile phones, tablets, and other screen sizes is called responsive design. The website makes actual graphical changes based on the device that you are using to view a website. This way, your website looks clean and professional regardless of what size screen the visitor is using. A newly published report from Hitwise states that roughly 58% of all searches in the United States come from a mobile device. Google is also very well aware of this trend and has emphasized using mobile-friendly pages. They have given preference to mobile friendly sites and have created a separate index they plan to use within the next few months that will make having a mobile friendly site critical to the success of your business. 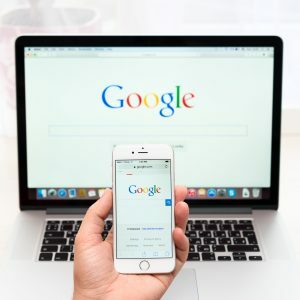 If you currently have a website and you are not sure if your design is mobile-friendly, visit Google’s Mobile Friendly Test and input your URL at https://search.google.com/search-console/mobile-friendly. 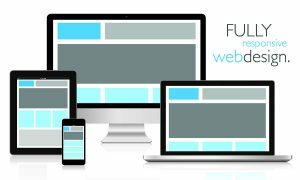 We understand the importance of mobile and this is why ALL of our websites are responsive and you will be prepared for the mobile future! Another critical aspect of a successful website is high quality engaging content. Readers and visitors to your website are smarter than you think. They actually read the content on your site and many times come back for more information before calling or filling out a contact form. They will also frequently compare you against your competition, read online reviews, view your facebook page, and more. You need to project yourself as an authority of your subject in order to earn their trust. The very best way to make a great impression and be viewed as an authority is with excellent content. A few hundred words from your summer intern is not going to cut it anymore. You must take the time and make the commitment to creating useful content for your audience and you will reap the rewards. Our team is well versed in the latest best practices and we can help you create content that will blow away the competition. Most businesses take this part of their website for granted and it’s simply holding them back from gaining more visitors and also prevents them from obtaining a great “conversion” rate. Making a website “search engine friendly” isn’t as easy as most designers make it sound. Most claim that the coding of their website is SEO-friendly and the rest is up to you. The fact of the matter is that you need many aspects working together in order to be truly search engine friendly. The coding of the website has very little to do with SEO and makes it easier for them to charge you a higher price than you should be paying. The site must load quickly, have a good design which encourages longer visits, includes high-caliber content that engages readers, have lots of supporting articles to build relevancy, and easy for visitors to convert into sales or leads. Making a search engine friendly website must be done from day 1 with a large emphasis put on it. It not something that is easy, it is hard work and it pays off in the end. We install Google Analytics or StatCounter for all our client websites and send you weekly traffic updates. 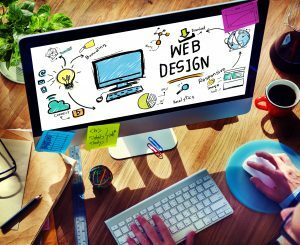 Most web designers don’t want to know this information, as you will quickly realize that your expensive website with all the bells and whistles isn’t actually helping you land clients or sales. It’s important that you are aware how much traffic your website is receiving along with lots of other data. You need to know which pages are currently performing well and which ones aren’t. It’s also very helpful to know where most of the web traffic is coming from. If you are a local business that sells a product or service at a single location, you need visitors that are close to your geographical region. As you can tell, the data you receive can help you evaluate your online marketing strategy and make the necessary adjustments.